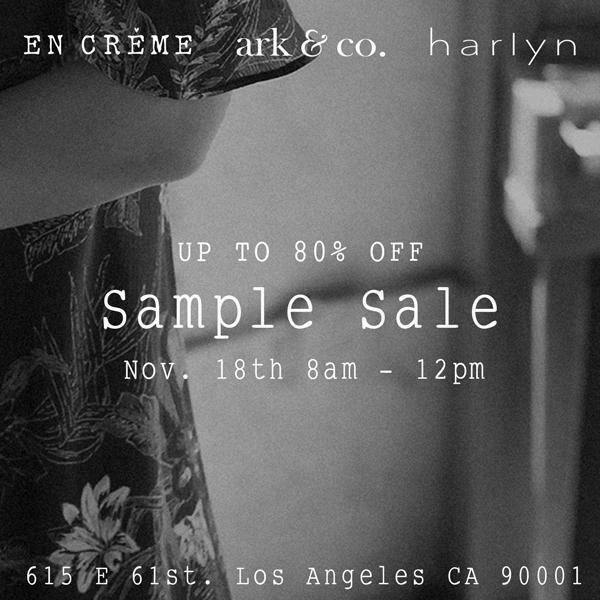 Harlyn, En Crème and Ark&Co (The Room) are collaborating to bring you this one-day sample sale with up to 80% off - and also look out for prizes and giveaways too! Free parking. Cash and cards accepted.